Greetings friends and fellow crafters, coming in a little late today with my post, but rest assured I am here. Lesson learned, no more having fun on Halloween when I should be writing my blog post. 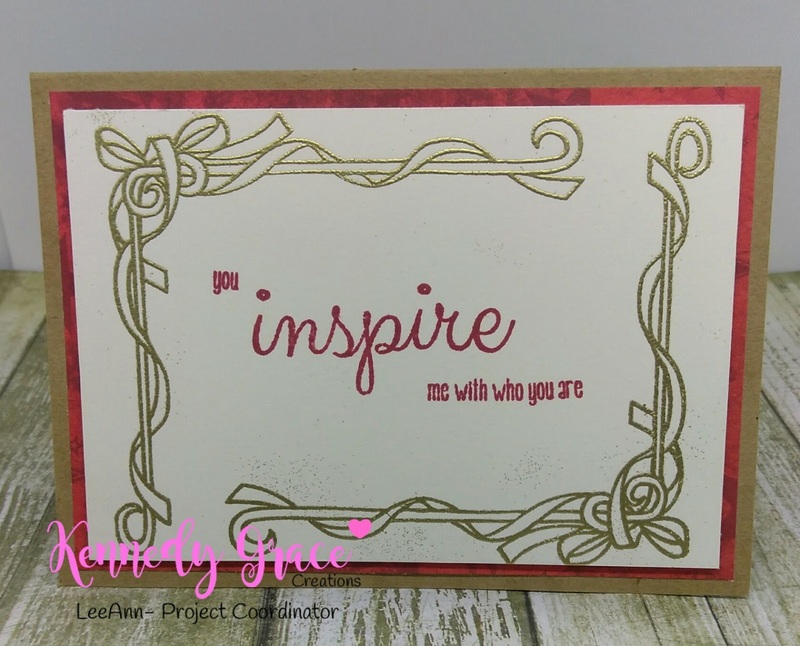 SO, here I am with a project I made using two our the great stamp sets from Kennedy Grace Creations. I used the borders from the Vintage Tea Cup set and the sentiments from the Inspire Me stamp set. I hope my project today inspires you to the ability to combine sets and expand their use. 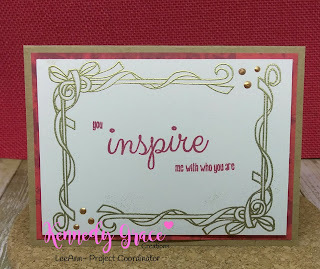 The first thing I did was I stamped the borders with VersaMark ink, this is a clear sticky ink that will allow for watermarking or heat embossing. 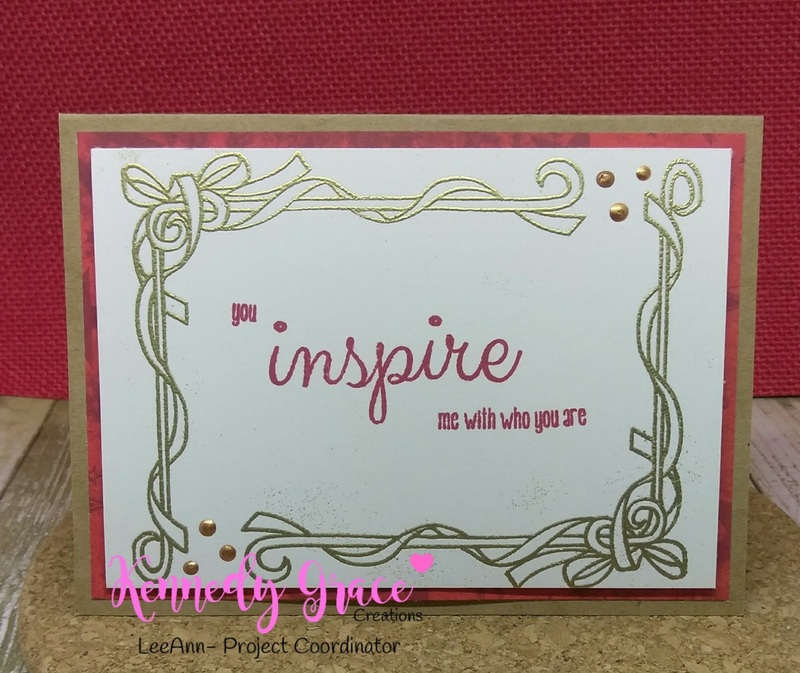 I used Recollections Extra Fine Detail Gold Embossing powder which I sprinkled on the VersaMark, and then used my heat tool to set it. The next step was to set up my sentiments. I used Lady Bug Red Memento Dew Drop ink to stamp that. The Memento is a dye ink that will dry quickly. I took my photo and was pleased, I thought I was finished. THEN, I woke up and decided it was not finished, I made 3 element dots in the upper right and lower left corners using Nuvo Crystal Drops in Copper Penny. NOW, with adding a red canvas backdrop my project is complete and I am quite happy with it.